We are really getting into the rhythm of school around here. Our days are, as a whole, going smoothly and gently…which is what I had really hoped for from the beginning. Little Guy is coming to expect and appreciate our routine. He even at times asks for what he knows comes next. And that makes me very, very happy. He is making such quick improvement, it is really hard for me to know how much if it is due to the GAPS diet and how much is due to our newly implemented Waldorf/Oak Meadow rhythm. Either way–something is working. And I mean really working. Little Guy is calmer, more verbal, more interactive, more focused. I am so proud of him. One of these day I am going to write a post about our daily rhythm. I visit a lot of homeschooling blogs, and always find the posts detailing daily rhythm or schedule to be highly informative and helpful. But that’s a topic for another day. In the meantime, here is our week. It was a bit shorter than usual, since Daddy was home for the holiday on Monday and we didn’t school that day. But we still got a lot accomplished. Our focus letter this week was “D”. Little Guy is really getting the hang of writing with his block crayons. I am so glad that we have started using them; we have tried writing/coloring tools of every shape and size under the sun, and these are definitely what works best for him. Their size and shape give him optimal control, and I can really see the fine-motor improvement. He did a great job writing his D’s this week. Our main story this week was Beatrix Potter’s “The Pie and the Pattypan.” I have to admit…neither of us liked it. That is a first; both of us have liked all the stories so far. But he had a really hard time following this one; none of the story fit in his frame of reference, and he was mostly just plain bored. So we only read it twice, and ended up spending the rest of our reading time this week with library books. We particularly enjoyed two Ezra Jack Keats books we got….Jennie’s Hat, and Apt. 3. The latter especially is a beautiful story….I highly recommend it! Little Guy went outside in the evenings this week, ostensibly to observe the stars….but unfortunately there weren’t any stars to observe. It’s been a cloudy week. I’m glad though that it is finally getting dark earlier, as that means he’ll be able to go outside to stargaze before bedtime a lot more often. Weather observation, signs of fall, and feeling different textures of tree bark were all part of our science studies this week. We read the OM story “The Crying Tree,” which seemed to really make the concept of the falling leaves in autumn concrete for him (especially since we haven’t had many falling leaves here yet.) I’ve noticed that personification tends to do that for him. Tying in with the autumn theme, on Thursday we went for an autumn nature walk and made a nature collage. Little Guy worked very hard on it, and couldn’t wait to show it to his daddy when he got home from work. We also did some extra fine motor work this week. I gave him a bowl of dry navy beans, an empty bowl, and a spoon, and had him carefully transfer the beans from one bowl to the other. He worked really hard at it with great attention, and really mastered getting the angle of the spoon just right so that those slippy beans wouldn’t keep falling all over the floor. Speaking of fine motor skills, Little Guy has finally decided he likes modelling beeswax! We have had it out almost every day this week and have enjoyed it thoroughly. We also baked muffins and banana bread again, and sang “Diddle, Diddle, Dumpling” and made word cards for it. We reviewed the number “2” and played the Opposites Game (in which I would say a word and he would say its opposite.) This also fit under the category of speech therapy. We read lots of library books, did watercolor painting (focusing on painting with two colors together and cleaning our brush between colors), drew D’s in the shape of doors, and lots more. On Friday, we went to playgroup at the park and played till we were all hot and tired. We also visited both of our usual libraries…the post library and our local city library. They each have their strengths and weaknesses so we try to frequent them both as we are able. 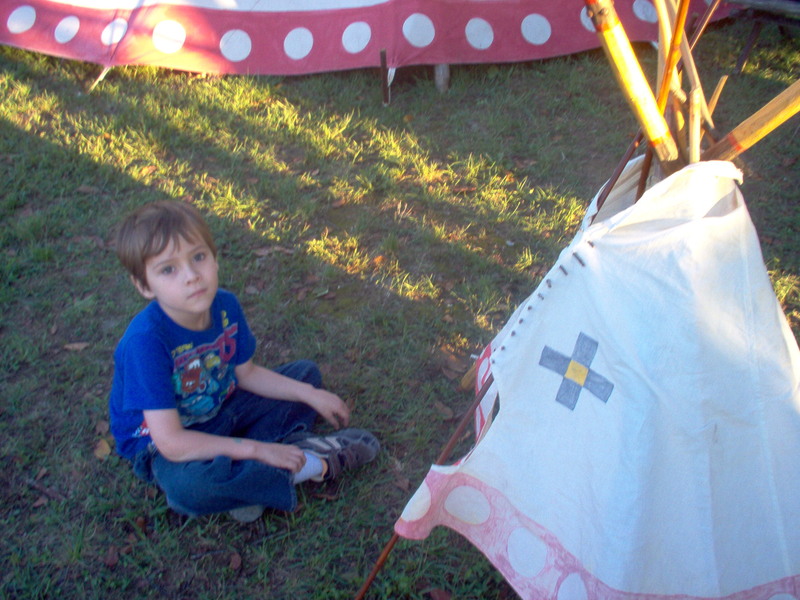 And then this evening, we went on a field trip to the Intertribal Pow-wow being held locally. 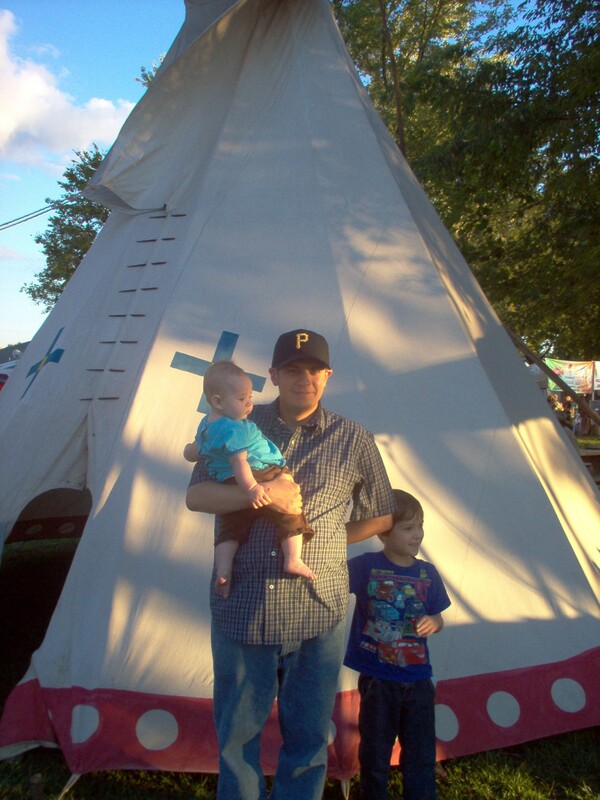 The city where we currently live is located on the Trail of Tears, so every year a pow-wow is held to honor the lives of those who passed this way. We arrived at six o’clock, just in time to see the grand entry of all of the participants in full regalia. It was truly beautiful. We did some sight seeing, encountered a few friends, sampled some genuine Native American food, and generally had fun. It was a great evening! I do have some pictures of the dancers in their regalia, and of the dancing itself…but they turned out kind of blurry, so I don’t think I’ll include them. Can’t have too many pictures of this guy though. 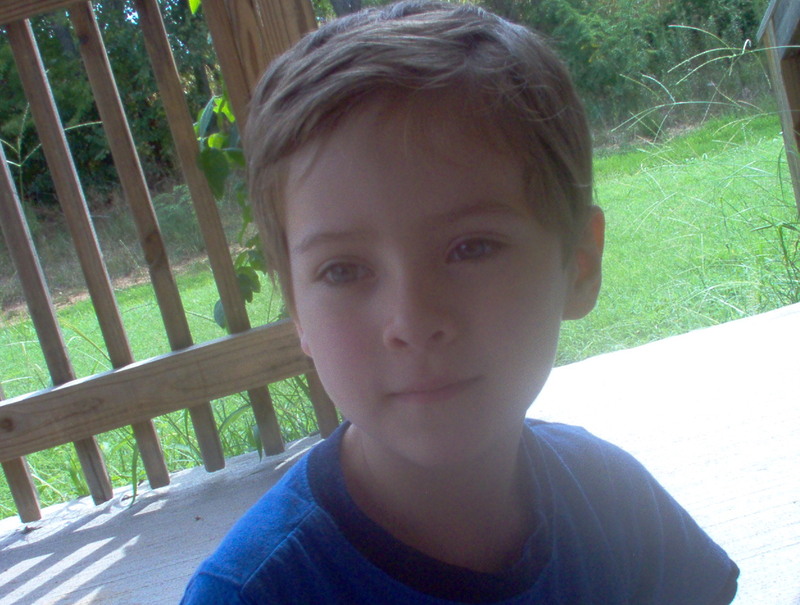 Before everybody gets tired of my blissful ravings, can I say again just how much I am LOVING homeschooling, and how happy I am that we made this decision for Little Guy? It is so wonderful watching his attention span lengthen and his confidence grow. With every week that goes by, I am more and more sure that this was the right and only choice to make for him. Okay, it’s out of my system. Now down to business. This week was a review week. Oak Meadow Kindergarten does three weeks in a row of focusing on specific letters, and then one week to review. So, since we have had a week each for A, B, and C, we spent this week reviewing the stories we’ve read and working on finding these letters in our home environment, in books, on signs, and in nature. 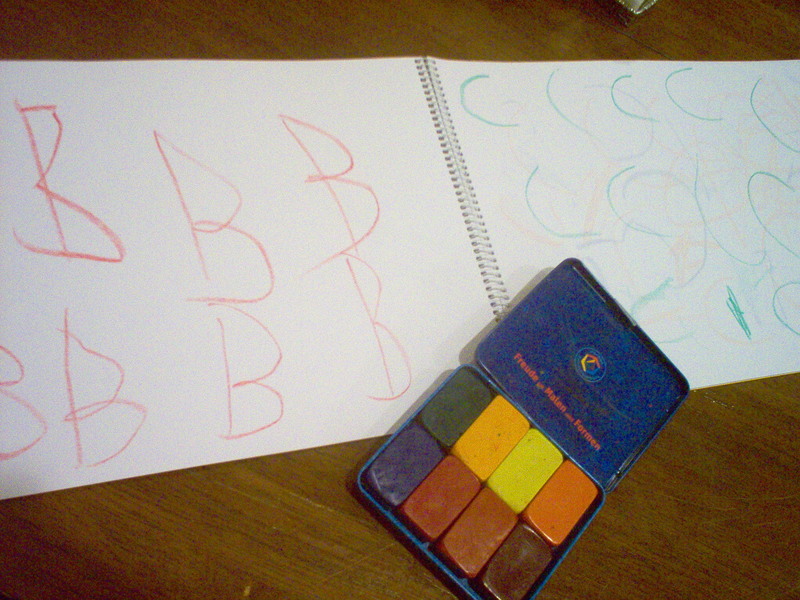 We spent some time every day writing the letters with block crayons, too. Little Guy’s fine motor skills, while still definitely delayed, are absolutely improving! He did some really good work this week. We’re still doing a lot of hand-over-hand, but he’s getting a little more confident trying to form the letters on his own. We did at least two pages of this every day this week, and his focus was excellent. I’m so proud of him! Music and movement is a difficult time of the day for us, mainly due to Little Guy’s lack of coordination, which really makes him uncomfortable trying to follow along with motions. So this week, we segued straight from poetry time into music and movement, with “Here We Go Round the Mulberry Bush.” We used one of my plants, and danced around it, both separately and together, while singing; and then we did various verses, including the “brush our teeth” verse….which enabled us to transition again, this time into the “health” portion of our lesson. For health, we are still working on self-care (which for Little Guy also involves a lot of fine/large motor work.) This week, we worked on self-bathing, brushing our own teeth, and self-dressing. For math this week, we focused on the number two. In Waldorf/Oak Meadow philosophy, the introduction of the letter two leads to an introduction of the concept of duality as opposed to unity (introduced during the study of the number one.) So, we talked about the sun and the moon; about Mommy and Daddy; brother and sister; and various other examples of two-ness in his life. We also drew beautiful pictures of suns and moons, and read George MacDonald’s “Princess Daylight.” We also continued doing his Melissa and Doug shape composition puzzles, and baked twice….banana bread and muffins. He’s getting really good at counting at the ingredients and helping with the blending. 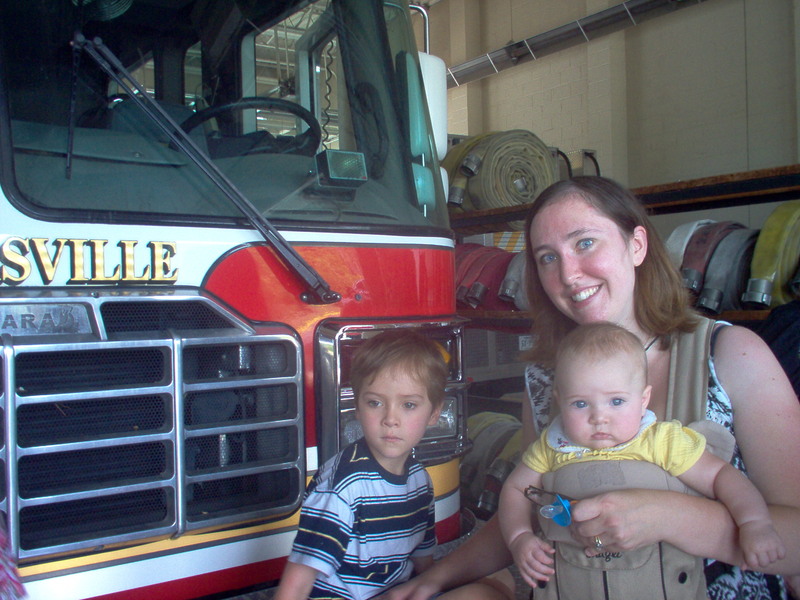 Probably the most exciting element of our week occurred on Thursday, when we joined our new homeschool group for a field trip at the local fire department. It was a little hot and overwhelming, but pretty fun nevertheless. 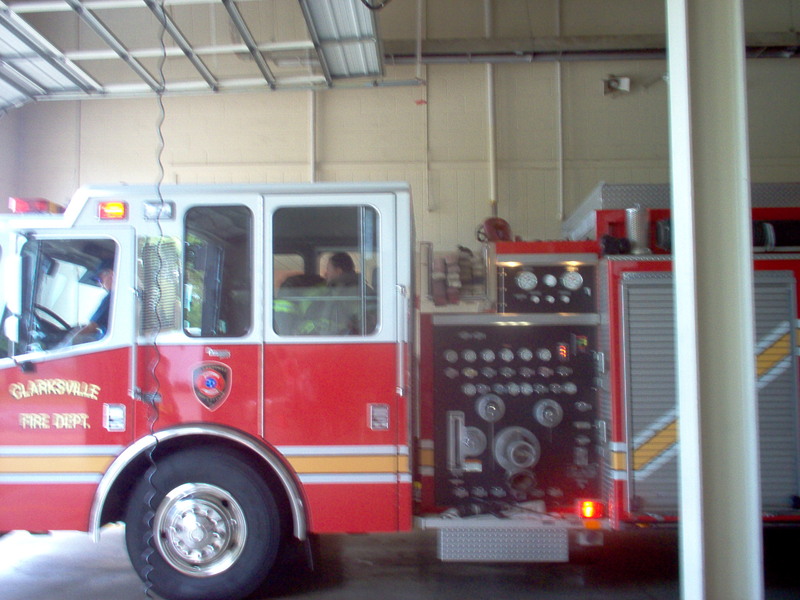 This was the fire engine Little Guy was *hoping* to get to climb on…before it had to roar off to actually do its job! It was very interesting to hear the bell go off and watch the firemen suiting up and taking the trucks out, sirens wailing. The whole thing occurred in less than a minute. It’s sometimes hard to tell how much Little Guy is paying attention during events like these, especially when things are stressful from a sensory perspective (hot, crowded, strange smells, scary sirens that made him jump). But he really was tuned in. That night when we were eating dinner, I asked him to tell Hubby what he saw on his field trip. 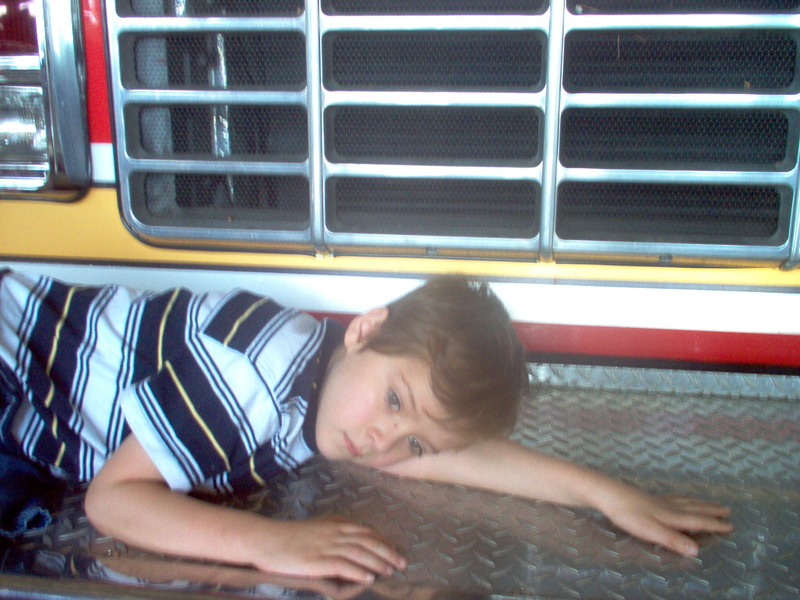 He said that he saw fire engines, fire men with gray suits, and boots just like his Thomas boots…and that he got to sit on the fire engine. He even told him about a little boy we met who was wearing a red and blue shirt (Little Guy has a bit of a thing for that color combination at the moment.) Since we’re still working on recounting past events (the memory is not the issue…just the verbal communication of the memory), I’d say that was pretty good! So that is pretty much our week. It was long, but good. And just in case you’re wonder what Baby V is up to all this time…. …she’s learning right along with us! Bye till next time! I am tired. I had hoped to start writing this post two hours ago, after the kids’ usual eight o’clock bedtime; but lo and behold, Little Guy took a nap for the first time in a long time and therefore stayed up a little later than usual, and Baby V was having unexplained tummy trouble and only just now finally fell asleep. So this post will probably be shorter than I originally intended. It was another good school week. Little Guy continues to love circle time. He says his morning verse on his own now, with very little prompting. This is a very big deal for us, as he is excellent at memorization, but usually requires a LOT of coaxing for the memorized material to show itself. The comforting routine of circle time seems to set him enough at ease to recite semi-on-demand now, though, and that is a beautiful thing to see. We sang four songs in the mornings this week: “Kum-ba-yah,” “Down by the Station,” “Michael, Row the Boat Ashore,” and “I’ve Been Working on the Railroad.” I had originally thought that I would change the songs out week by week, but he wants to do all the songs we’ve done thus far every single day. That is fine…but if it continues, we are going to have a LOOONG circle time by the end of the year! I have never understood until now why there are so many strong proponents of baking with young children. I mean, why baking, as opposed to other kinds of cooking, crafts, or what-not? But after this week…I get it. And I think it may be even more perfect for my son because of his sensory issues. On Monday, we made two loaves of coconut flour banana bread together. 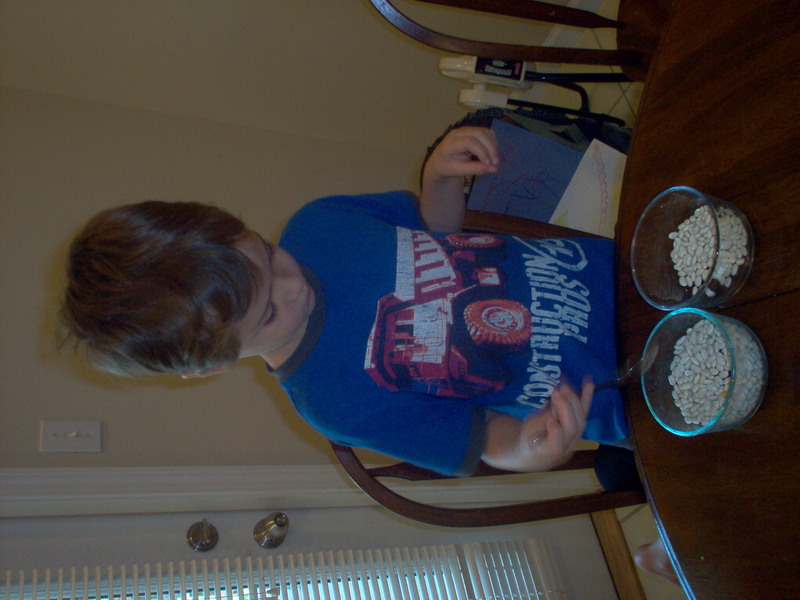 He counted the eggs (eight), bananas (four), and other ingredients for math; the stirring, pouring, and other tasks were excellent fine motor skill practice; and the super fun part…scooping the glops of dough into the bread pans…was great sensory work. It really is an all round perfect educational experience. And of course, it involves lots of following directions, conversation, and direct contact. Also on Monday, we tried twig weaving. 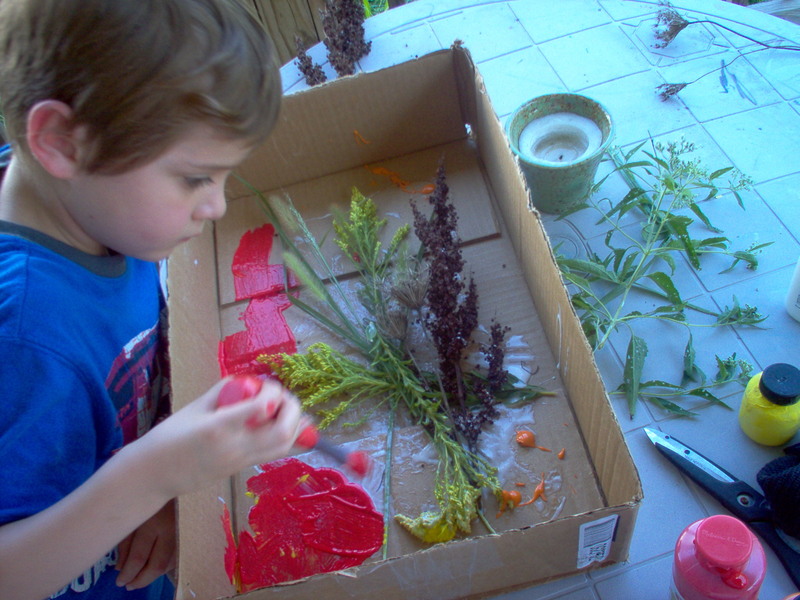 (We got the idea from “EcoArt”, an amazing resource for earth-friendly art projects for younger kids. You should check it out!) We went outside on a little nature walk to select an appropriate branch, brought it back, and practiced weaving yarn in between the twigs. This was hard work for Little Guy and I don’t think he enjoyed it all that much, but he worked hard at it for a little while. We’re going to try it again soon. This week, our main story was Beatrix Potter’s “Benjamin Bunny.” We read it several times, and had a cool little coincidence happen. On Tuesday, we had planned to go the library, but due to various circumstances accidentally arrived thirty minutes before it opened. (Don’t ask. No, it is not our usual practice to accidentally arrive places early. How I wish.) Our local library has a very nice paved walking trail behind it, so we decided to unpack the stroller and walk until the library opened. We walked along for ten minutes or so, and lo and behold, a bunny hopped right across our path in front of us, and disappeared into the trees! 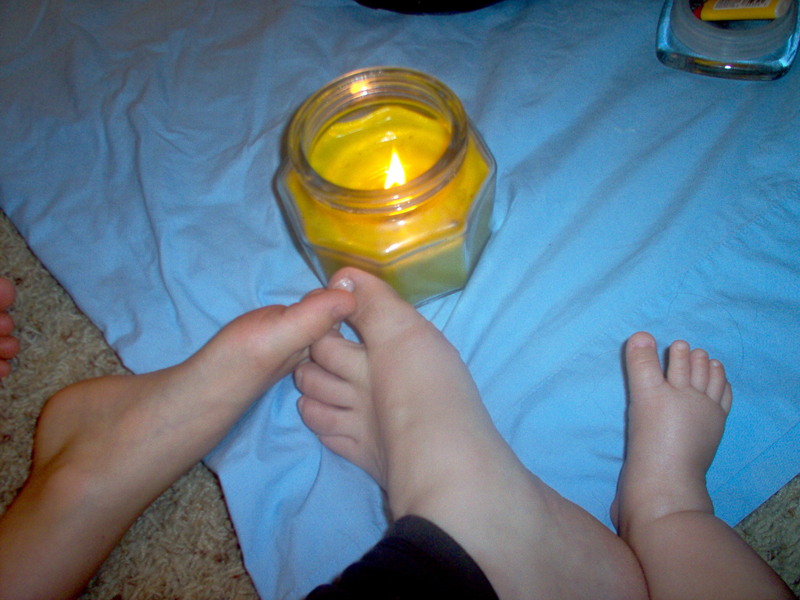 Little Guy and I both loved it, and itt was fun to tie it in to what we had been learning. We started something else new this week. He has been going crazy asking me what things say, spelling words, trying to spell and sound out words, and so on. He is accumulating pre-reading skills VERY quickly. So as one of our exercises this week, I made individual cards for all the words in “Rain, Rain, Go Away” (his favorite rhyme), and we worked on identifying the words and putting them in order. He really enjoyed that. Little Guy tried modelling beeswax for the first time this week, and I have to say, I think we’re both a little confused as to how (or whether) to proceed with it. I love the idea of the natural beeswax modelling compound, and his curriculum calls for it, so I ordered it; but honestly…it is much stiffer than standard modelling compounds, and it was very frustrating for him, because we are still working on hand and finger strength. I’m not sure if I should keep having him work with it in order to develop that strength, or put it away for a while. Will have to give that some thought. I do love the fact though that it doesn’t have the offensive odor of the commercial compounds. I can’t stand that smell! Millions of Cats, by Wanda Gag, was Little Guy’s favorite library selection this week. We read it a couple of days in a row during school time, and since then he has asked Hubby and me both to read it to at different times. Those requests are music to my ears…I love to see him branching out to different topics and types of books! We did so many other things this week. 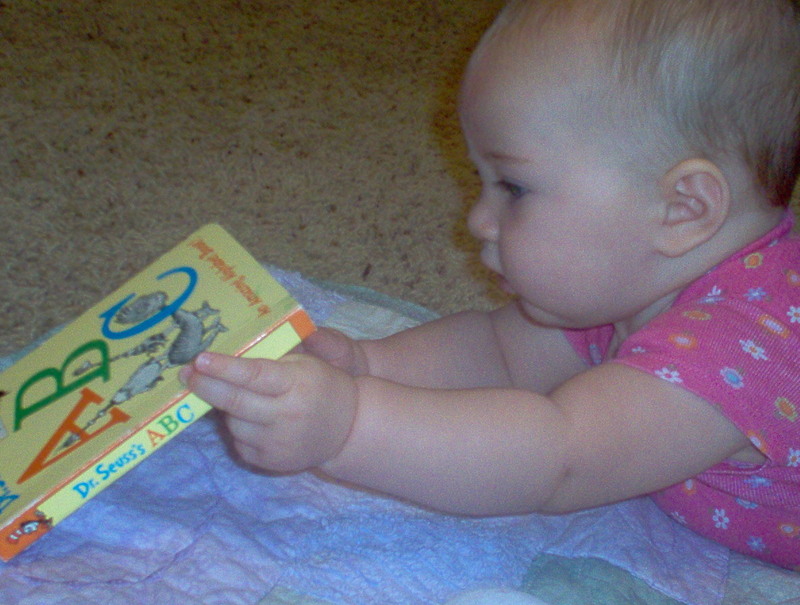 We read poetry–both from our nursery rhyme collections and from The Twentieth-Century Children’s Poetry Treasury. We did typing. We did speech therapy games, focusing on social responses this week. We colored with block crayons. We continued reading books about the seasons. We learned about deer. We practiced making words with his wooden letters, emphasizing words starting with “C”. We did shape composition puzzles, and made some small strides in the fine motor department. We painted with watercolors. We went to the library again. And we met with our playgroup friends. All in all, it was a good week. A long one, but a good one. And I am now VERY tired. So good night. My children are the most amazing thing in my life right now. They are both developing so fast I can hardly keep up and am so afraid of forgetting all the little important moments, even though I know it is impossible to remember them all. This was our second week of Oak Meadow. It was good. We continued starting every morning with circle time. This week, we continued singing “Down by the Station,” but dropped “Michael, Row the Boat Ashore” in favor of “Kum-ba-yah.” To my great surprise, Little Guy loved “Kum-ba-yah”! He listened intently every morning, while staring into the candle flame. He even asked to listen to it at other random times. We’re going to recycle it this coming week, and hopefully I can get him to actually sing it by Friday. He also said, ALMOST by himself and with just a little prompting, his whole morning verse. He really enjoys the hand motions we do with it. This week, our focus was on the letter “B”. I told him the story of Goldilocks and the Three Bears every day, and we worked on narration. That wasn’t hard, because it’s a story I’ve told him since he was little. (I fleshed it out a bit this week.) We drew a bear in the shape of a B, and butterflies with B-shape sas their wings. 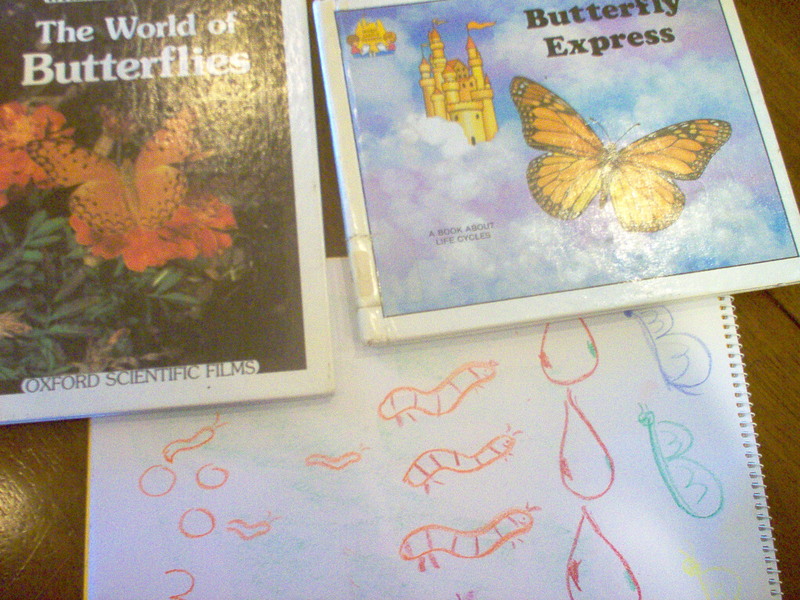 For science, we capitalized on the butterfly theme, and read stories about metamorphosis. His syllabus had one good story, and then we checked out more from the library. I also did an interactive drawing of the stages of metamorphosis with him (please ignore my obvious inability to draw!) The funny thing was, when we started and I first asked him to narrate the process back to me, it turned out that what he had somehow processed was that eggs hatch into snakes, and that when the snakes come out of their chrysalises, they turn into bees. *sigh and giggle* Fortunately, his understanding of the process improved as the week went on. Little Guy did AMAZINGLY with his letter boards this week. We use the Melissa and Doug see-and-spell boards, and he loves them. His focus is fantastic when he uses them…he is so tactile. He spelled lots of words this week, some on his own and some with help. We did a lot of “B” words, and then of course many of his beloved engine names. I was so proud of him sitting there and spelling things out correctly and left-to-right on his own! One interesting thing did happen. I had not planned to do any computer work just yet, but it turns out that he is very interested in the keyboard and in learning to type! Because of his delayed fine motor skills, writing words is going to be a while coming, but he can type them with no problem. I set him up on Microsoft Word two mornings this week, enlarged the font size and colored it red, and let him go to town. He loved it. So I think we will be incorporating a bit of computer time into our school time a couple of days a week. For math this week, we talked about the number 1. Little Guy can count to twenty and beyond, but we are working on the tangible qualities of the numbers. I told him the story of Father Sun, who is just one but has enough light for everyone; we drew suns and ones; we talked about trees with just one trunk but many branches. 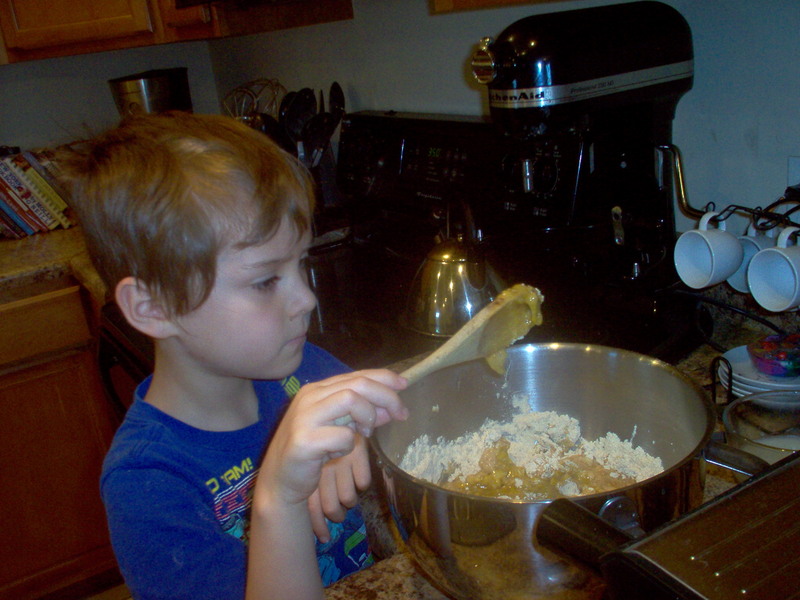 On Thursday, we baked GAPS-friendly cookies together, and he counted. He counted ten dates, twenty cookies, and so on. For health, in continuation of our cleanliness/self care topic, he worked on self-washing. What else did we do? We read nursery rhymes. We read many, many other books (especially Dr. Seuss.) We did puzzles. We did speech therapy games. We reviewed the seasons (last week’s science topic) and read books about them. We went to the library. On Wednesday, we made rhythm drums out of coffee cans. It was a disaster. Little Guy has NO sense of rhythm and does not like to be reminded of the fact. That’s fine: rhythm can wait. We did watercolor painting, on both wet and dry paper. 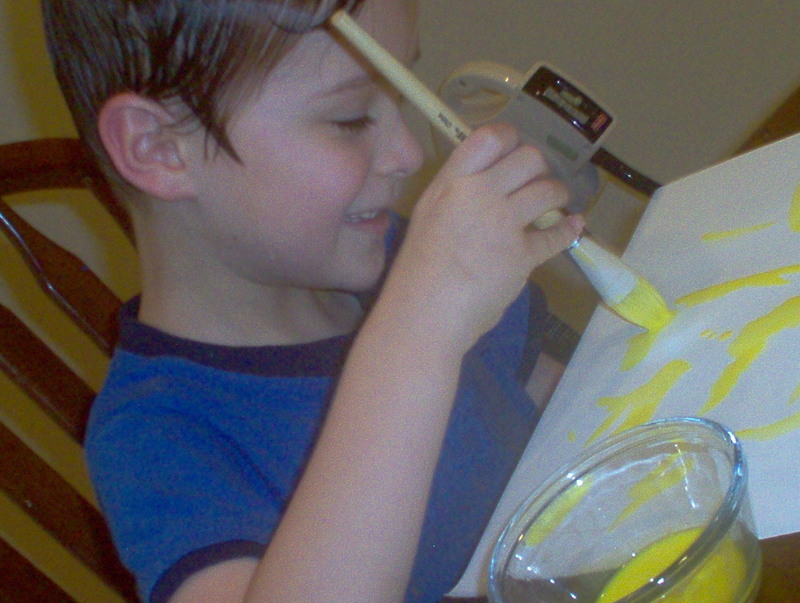 He loves to paint, so that was a big hit. This week, we did mostly yellow, as we talked about the warmth of the sun in summer. His focus was excellent, most of the week. Thursday got a little rough, but I expect that. He has been concentrating so much better than I expected, and I know there are bound to be down times. Thursday morning, he couldn’t focus on our stories, didn’t want to do his table work, kept talking over me, was stimming a lot, and so on. So what did we do? We dropped everything for two hours, went outside and got really, really dirty then really, really wet, and came in and took baths. And then we started again, and it went much better. That is why I am glad I can homeschool. So here we are, at the end of our first full week of kindergarten. WOW. I am still having a hard time processing this. It seems as if just last week, Little Guy was sitting in a high chair. Now we have somebody else sitting in the high chair, and Little Guy’s a kindergartener. Our first week was beautiful. I hardly know what else to say. After my long, arduous search for a curriculum I believed would suit Little Guy perfectly, I chose Oak Meadow…and the more I work with it and get to know it, the more I fall in love with it. Oak Meadow is Waldorf-inspired, but not pure Waldorf; which, for me, means that it incorporates many of the best aspects of Rudolf Steiner’s philosophy, and leaves out the parts which make me a bit uncomfortable. 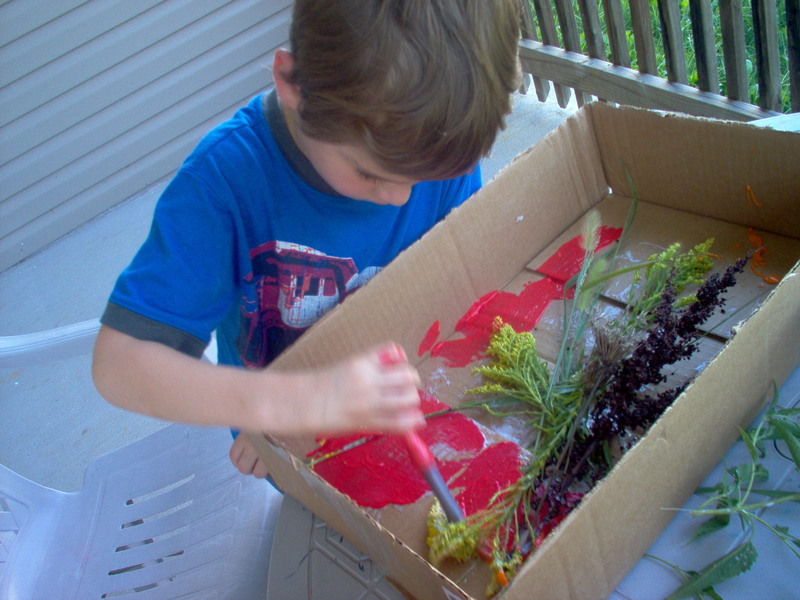 It is structured, yet loose; activity-based with plenty of work to keep us busy (if we incorporate everything suggested in all books); child-centric and heavily child-directed; and very, very gentle. We have been moving more and more in a Waldorf direction anyway in the past year or so (I own many books on Waldorf parenting), so schooling in this way is a pretty natural transition for us. 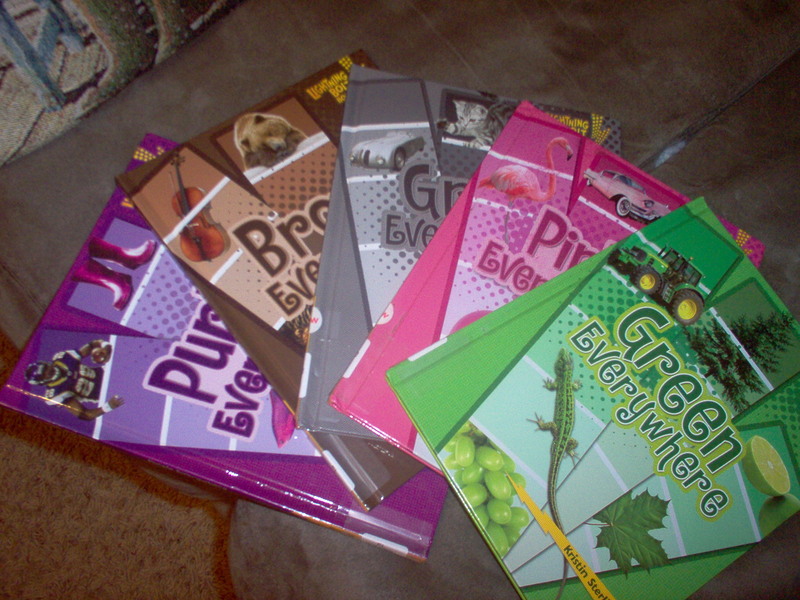 Waldorf educational philosophy focuses extensively on creating a nurturing daily rhythm for the child; and Oak Meadow incorporates this focus, with many practical suggestions on how to make homeschooling a natural part of daily life, while still bringing reverence and attention to the learning process. We began each day with our circle time. Now, before this week, I was a bit dubious about the idea of circle time with just one child and one adult. Wouldn’t it seem a bit forced? silly? Not at all. Vincent and I both LOVED it. We began every morning by lighting a candle; and it was amazing how the candle served to focus his attention and energy on the words and music which followed. After lighting the candle, we recited our daily poem (which he was saying along with me by today! yay! ), and then moved on to sing two songs. The two songs I chose this week were “Down by the Station,” and “Michael, Row the Boat Ashore.” By today, the last day of the week, he knew most of the words to both songs, and was actually requesting a second circle time at the end of each day! After circle time, we would move on to our morning study hour (which coincided conveniently most days with Baby V.’s first nap), and then to a time of free play. Lunch would follow, with more study time afterwards, more music, outside time, and free play. This week’s lesson centered around Beatrix Potter’s “Peter Rabbit,” and the introduction of the letter “A”. It may seem a bit crazy to be just introducing the letters of the alphabet to a child who knows them backward and forward, with their sounds, capitals, and lowercases; but, the truth is, I LOVE this approach. Because of his SPD, Little Guy’s fine motor skills are quite delayed, and while he’s known all his letters for a long time, he can’t write any of them. So, we spent the week focusing on the form of the letter A. We drew a big chalk A, and walked it. 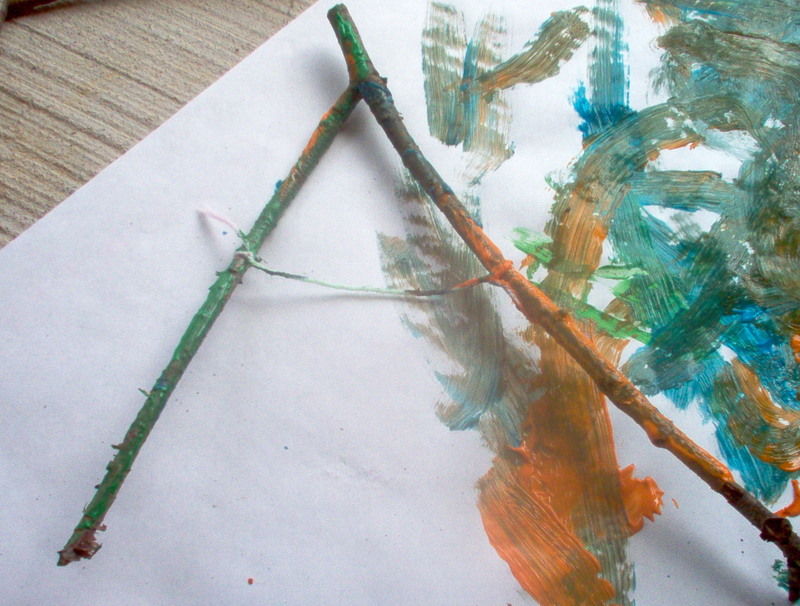 We made an A from a forked stick, and painted it. We made A’s from blocks, and ran toys along them like tracks. We drew giant crayon A’s. And so on. It was wonderful, and as the week went on, I definitely saw him begin to process what it physically felt like to write the letter. And that was a wonderful thing. We read “Peter Rabbit” every day this week, working on remembering sequence of events and being able to narrate it back. And lo and behold, yesterday, I got a very sweet (succinct) narration out of him after reading. This is a brand new skill for him, so it will take time; but with his language delays, the fact that he is narrating at all is a BIG deal. Charlotte Mason would be proud. Speaking of language, we also began a home speech therapy program designed specifically for incorporation into the homeschool. It is called Straight Talk. I am using Straight Talk II with Little Guy; the first volume is geared more towards pronunciation issues (not our problem). Straight Talk II focuses more on usage and language patterns, and is specifically geared towards delays. I am very pleased with it so far. It includes excellent diagnostics and checklists for teacher use. What else did we do? Well, I can hardly begin to say. We went to the library twice (Tuesday and Friday.) We met with our new homeschool group on Tuesday (and Little Guy sat through a forty-five minute parent meeting very calmly…good work for him!) We met our playgroup friends at the park for some outside time today. Little Guy baked bread with me. Now, since we are on GAPS, it couldn’t be “real” bread….but we tried the coconut/almond flour bread recipe found here, and it turned out quite good. 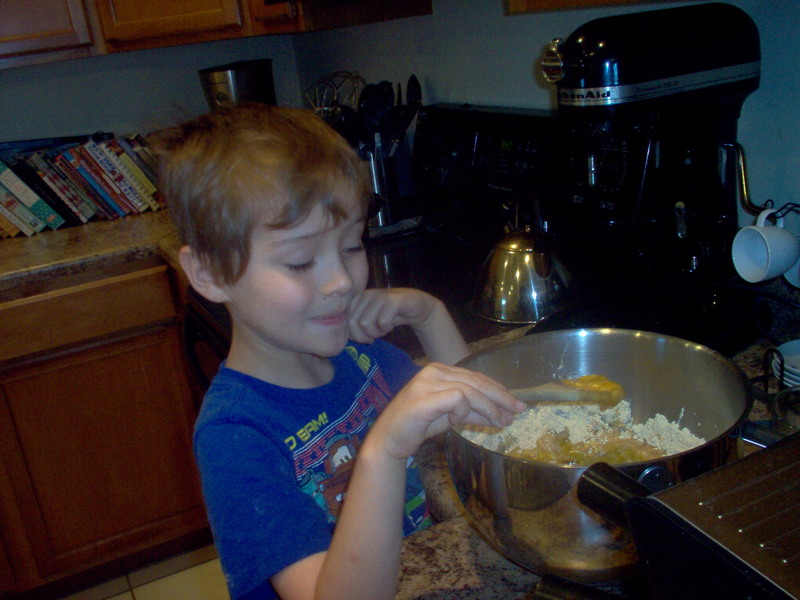 Little Guy stirred the ingredients (excellent for work on his hand strength), counted the eggs that went in (five), and scooped the dough into the loaf pan for me. And then, of course, he ate it. We talked about cleanliness and hygiene, and made a hand-washing sign for the bathroom. (He is very proud of it.) We did puzzles (and made good progress on some more advanced ones than he is used to.) We studied the seasons, and used our beeswax crayons to draw a picture of summer. 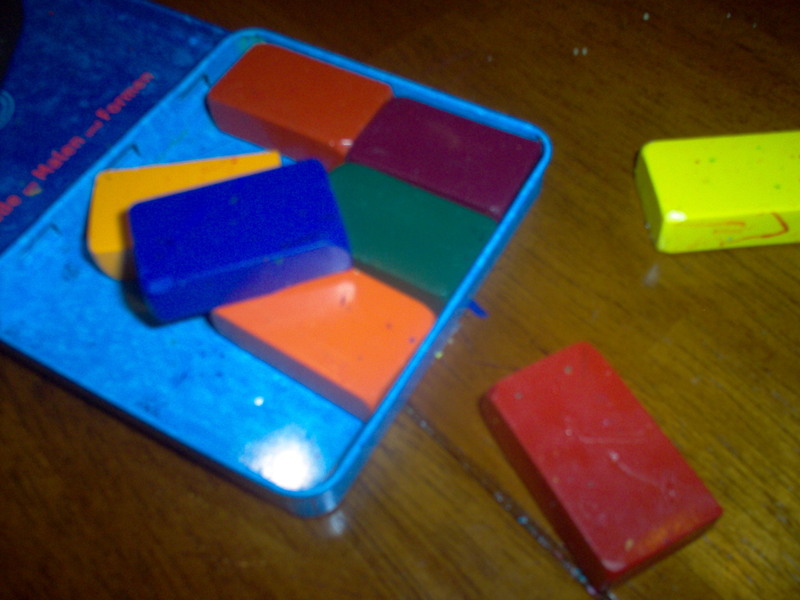 And oh yes…I think his favorite part of the whole week was his new beeswax block crayons. He is THRILLED with them. I think they’re pretty cool myself. My favorite part, I think, was being able to lead my wonderful boy so happily and naturally into learning. The look of focus and contentment on his face as he stared into our lighted candle warmed my heart. The attention he brought to the activities following was something new for us. He may have been a little wild and crazy after his focused hour of work, but hey…that fits in both with his need of a balanced sensory diet, and with the Waldorf concept of contraction/expansion. So that is okay! I am just incredibly grateful for all of our many successes this week, and hope they continue.